It could have been Warren Beatty's affair to remember. The Hollywood legend was one of the last people to see Marilyn Monroe alive, he recalled in a new interview with Vanity Fair. 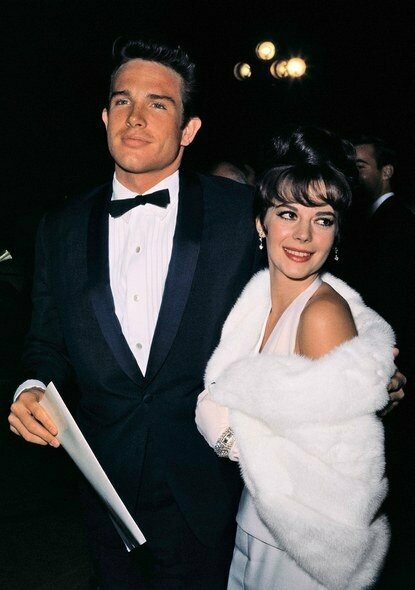 Beatty and Monroe met Aug. 4, 1962, at Peter Lawford's house in Santa Monica, California. Lawford, also an actor, invited Beatty over for a night of tacos and poker, and Monroe, a longtime friend of Lawford, was there. “I hadn’t seen anything that beautiful,” he said in the interview. The blonde buxom asked a then 25-year-old Beatty if he wanted to walk along the beach. “It was more soulful than romantic," the 79-year-old recounted of their telling stroll. Later, he played the piano for her and Marilyn was "wearing something so clingy that he could tell she wasn't wearing underwear." Beatty also noticed that she was "already tipsy from the champagne" even "before the sun had set." The next day, Beatty got a phone call from Harold Mirisch, brother of Hollywood producer Walter Marisch, who told him Marilyn had died from an overdose at age 36. He also briefly encountered Marilyn Monroe. Peter Lawford had invited him out to his house in Malibu for a night of tacos and poker, and Monroe was there. “I hadn’t seen anything that beautiful,” Beatty recalls. She invited him to take a walk along the beach, which he did. “It was more soulful than romantic.” Back in the house, he played the piano. (He’s a good pianist, by the way, enamored of jazz greats such as Erroll Garner.) Marilyn sat on the edge of the piano in something so clingy that Beatty could tell she wasn’t wearing underwear. “How old are you ?” she asked. “Twenty-five,” he answered. “And how old are you ?” he asked cheekily. “Three. Six,” she said, as if not wanting to bring the two numbers together. By then, the tacos had arrived, and no one really played poker that night. Warren noticed that Marilyn was already a bit tipsy from champagne, even before the sun had set. The next day, the producer Walter Mirisch’s brother Harold called. “Did you hear ?” he asked. “Marilyn Monroe is dead.” Warren was one of the last people to see Marilyn alive—a story that Beatty tells only reluctantly. He really is one of Hollywood’s most discreet people, in a town and an industry marinated in its own gossip. tient voilà quelque chose que je ne savais pas....qui était au courant ? toi Ginieland ? eh non ! c'est pour ça que lorsque je suis tombée sur l'article -bien qu'il date d'octobre dernier- je l'ai mis sur le blog. tu as bien fait Ginieland !!! merci à toi. Pense-tu que se soit vrai ? cela parait incroyable que cette histoire sorte maintenant. Personne n'était au courant ! bah en même temps, il n'y a rien d'extraordinaire ! Il est certain que Marilyn avait passé la soirée chez Lawford (non pas la veille de sa mort mais l'avant veille); donc si Warren Beatty était présent aussi, pourquoi pas ! Pas mal de personnalités ont rencontré Marilyn, dans des soirées plus "intimes" ou à l'Actor's Studio (jpense à Jack Nicholson par exemple, d'ailleurs il me semble que Bernard Comment, quand il a préparé le livre Fragments, a eu accès à beaucoup de docs en tout genre de la part d'Ana Strasberg, et il avait vu une photographie de MM avec Nicholson !). Il n'y a rien d'étonnant qu'elle ait croisé d'autres personnalités tout au long de sa vie. et j'ajouterai que dans l'article , il est dit que Beatty est un homme plutôt discret, pas du genre à se la raconter ni à livrer des anecdotes... mais bon en même temps, il n'y a rien d'exceptionnel dans cette histoire, ils ont passé la soirée chez Lawford, pour dîner et discuter. salut Ginieland , merci pour toutes ces explications. Grace à toi j'ai appris une nouvelles chose sur Marilyn avec cet article.